Long-term protection for your PSU. 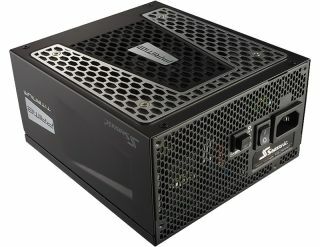 To give buyers added peace of mind that their power supply is likely to outlive most other parts in their build, Seasonic has upgraded the duration of its warranty on Prime series PSUs from 10 years to 12 years. That is not a monumental jump by any means, but it is an additional 24 months for no additional cost. And it comes from a company with a solid reputation in the PSU category, something that should not be understated—we've seen generic PSUs literally go up in smoke. "Even as CPU speed and system components evolve, a great number of computer owners are holding on to the most basic and important of their components; the Seasonic power supply," Seasonic said. "Many end-users have reported that their 10- year-old Seasonic power supply is still running and this affirms that the company has accomplished what it has set out to do—to provide a long-term, cost-effective, and environmentally sustainable solution to its customers." The warranty extension applies to all Prime series PSUs, including those that have already been sold. At present, there are more than a dozen listed on Seasonic's website spread out among 80 Plus Gold, Platinum, and Titanium certifications. They include 650W, 750W, 850W, 1,000W, and 1,200W models available in 80 Plus Gold and Platinum certifications, along with 600W (fanless), 650W, 750W, 850W, and 1,000W models available with an 80 Plus Titanium badge.